BizRAS is a full Report and Invoicing Administration System allowing you to set up supported languages, security group levels, roles, sales plans, help for screens in different languages, credit card payment options, report fonts, email correspondence and so much more. After you log on, your 1st screen in the Alerts screen shows you the number of new web clients signed up for a trial run, the number of reports to be designed, the number of clients that have passed the trial period, the number of invoices not paid and so on. The Administration System gives you all the functionality of the User System plus is the controlling system that allows you to set up new clients, set up new reports, credit card bill your clients, set up database locations of where client data is and a myriad of other functions. 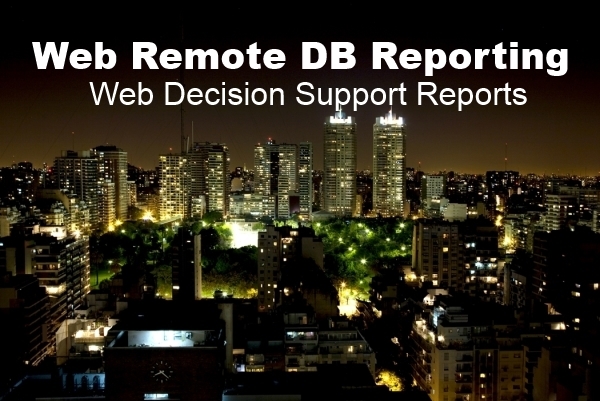 The reports in the Admnistrative and User Systems are dynamic html which is support by browsers world wide. Some reports are drill downs allowing you to drill down deeper into your data. Reports can be emailed to the email address you set up in the User Profile screen. The report is embedded inside the email with no attachments making it user friendly to all virus scanning programs. ADD BizRAS Web Invoicing Module -- Get Paid On The Web! BizRAS allows you to enter your billing items, assign them to services you provide to clients, invoice and receive payments, manage Recurring Payments as well as one time charge billing all with PayPal/Web Credit Card Authorizations so say good bye to late payments, NSF checks and paper billing. Overview of BizRAS Reports - No Report Writing! 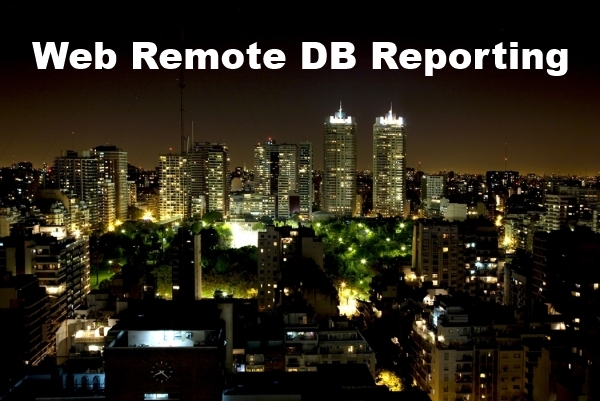 No need for you to write reports since we pull data directly from your tables through SQL. We work with you as to what data you want displayed and map a view to our screens. This is a huge saving of time for you. As you nightly refresh your data to the web hosts, the users can see current data that you allow them to see. Since BizRAS Reports are standard html, they are supported on browsers world wide such as Browsers on desk tops and laptops and even pocket PCs. Since you choose the number of columns you want in a report, you can look at the key columns on your Pocket PC and look at all columns on your laptop or desktop computer. You have the option to email these reports to your email address with the report inside the body of the email. This means there is no file attachments to your email which not only makes it friendly to all virus scanning programs buts lets you forward that report from your email system to another email id without the trouble of having attachments scrubbed off by some security system. Since BizRAS reports are in html, there is no need to have any conversions to your reports nor any need to show them with Adobe. A user must have a username and password before they can log on. Password expirations are set by the Main Administrator so users are forced to change their password every X number of months (X can be 1 through 12 months). Once the user logs on, they cannot run any report unless the Main Administrator or Report Administrator grants them access to a report. The report itself must be in operational submission status (and active record status) as reports can be set to inactive status for a period of time based on the Administrator's discretion. 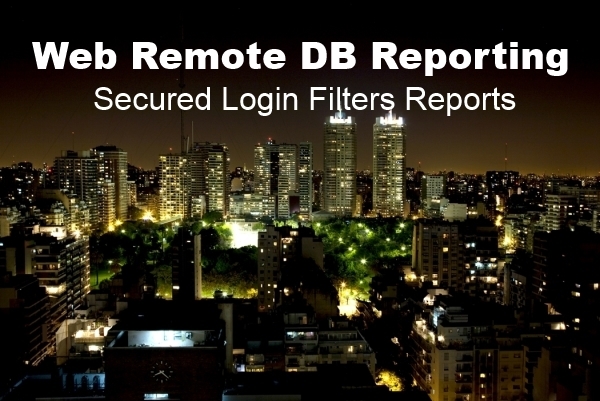 Once the user has been granted a set of reports, that report is further filtered by the login cretentials (client or customer) of the user so that one client cannot look at another client's data. Data is uploaded nigthly to the web host by the Administration personnel which requires separate database user ids and passwords. BizRAS has tons of security built into it from the software application to the hosting application. The hosting system has intrusion prevention and spam control. The web site is secured with 128 bit SSL encryption key. The BizRAS application itself has password and credit card encryption so that even the database administrator can not steal anyones password or credit card number. BizRAS also has session control that checks if the user is still on the same session they started with. This stops URL hackers from trying to steal a URL and jump into the application. In Summary, BizRAS has all the top security web controls to make your data and application safe. Section 1.3 outlines the advantages of you not having to write writing reports by letting the data be pulled directly from the database through SQL Views. This is a huge cost saving not only saving development time but also speeding up the time to get your data shown to the world on the web. Another area of cost savings is Call Centers or Support Centers. Call or Support Centers spend their time answering calls from clients as to data needs. Why not give the user the data they need since the Call or Support Center Personnel are looking at the same data on their screens? You just filter out the data you want on a separate database that gets uploaded nightly to the host and then BizRAS gives your clients your data in Reports running in a secured system.